Samsung has officially unveiled the new smartphone "Galaxy S5" at a special event held on the sidelines of its participation in the Mobile World Congress "MWC 2014" is being held in the Spanish city of Barcelona. Larger screen by 0.1 inch. More sophisticated processor and rear camera. Sensitive to read the heartbeat. Resistance to water and dust. Samsung's new smartphones has 5.1-inch Super AMOLED display with Full HD resolution, also has 2.5 GHz Snapdragon 805 Quad-core processor from Qualcomm. 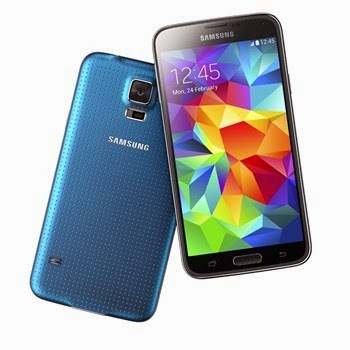 Samsung Galaxy S5 has 2 GB of random memory capacity, and 16/32 GB of internal memory storage, with the ability to increase the memory via an external MicroSD card up to 128 GB. The accuracy rear camera in the new smartphone 16 megapixels , a camera that has been supported by developed sensor, and LED flash light, and the advantage of the rapid auto focus while shooting and video recording , with speed of 0.3 seconds. Samsung said that the camera of "Galaxy S5" can be compared with professional imaging cameras, a camera capable of recording video with resolution of 2160 pixels and at 30 frames per second, while the accuracy of the front camera in the new smartphone 2 MP, which is capable of recording Full HD video at 30 frames per second. The new smartphone features for the fingerprint reader, and the company stressed that the information that is stored by the fingerprint reader is encrypted in secret inside the device and is not shared with any other second party. Samsung described the new device as the first smartphone featuring sensor to read the heart rate, a sensor located in the rear of the device, as the company explained that the device is powered by standard IP67 for resistance to water and dust, and the new generation of technology to protect the data KNOX. 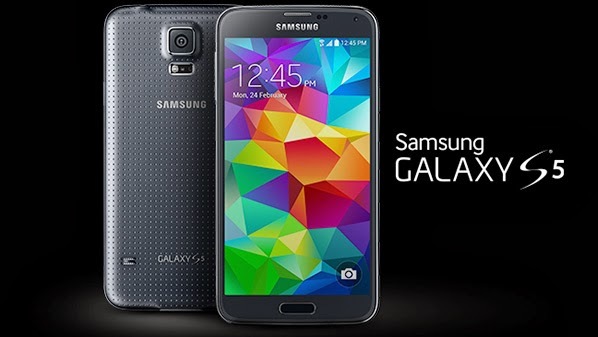 Galaxy S5 will put forward with 2800 mAh battery with a special status, called Ultra saving mode, to save part of the battery power to hold about 24 hours in standby mode. The new smartphone includes Kids Mode, which allows the user of "Galaxy S5" post with his children without the fear of losing data, or the use of any features are not allowed to use . 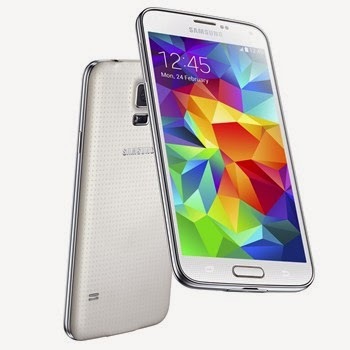 Samsung Galaxy S5 will be available in four main colors are white, cyan, gold, and black, Samsung plans to launch the new smartphone on April 11 in a number of global markets , as the company did not reveal any information about the expected price of the device.